Every year Britain’s property sector comes together to review the data behind commercial property leasing across the country. The data reveals trends and new behaviours and is crucial to understanding the shifting sands of property usage on Britain’s streets and what that means for business of all sizes. Now in it’s 17th year, the MSCI and Strutt & Parker’s UK Lease Event Review in partnership with British Property Federation took place in early November. We Are Pop Up’s COO Clara Maguire was thrilled to speak at the event. Here, Clara shares some of the key insights from the day and the data affecting brands, retailers and the property sector at large. The core lesson? 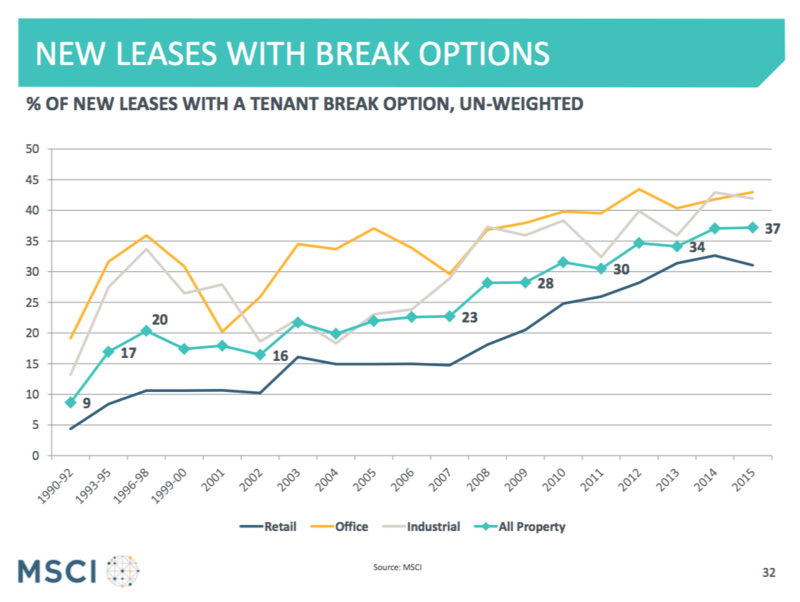 Flexible leasing is a structural shift, and it’s here to stay. Brands want shorter leases and more flexibility in where, and how, they engage consumers. A movement that was spurred by the recession caught fire with social media and has now become the norm. Large and small brands are building products and services in new ways. Business financing options, innovation tools, and risk profiles have all changed. This means brands’ business and operating models are very different. Sitting in a room with more than 100 property investors from leading institutions such as British Land and AXA, we reflected on both the opportunities and challenges of these shifts. Savvy property professionals know there is more to this than meets the eye. 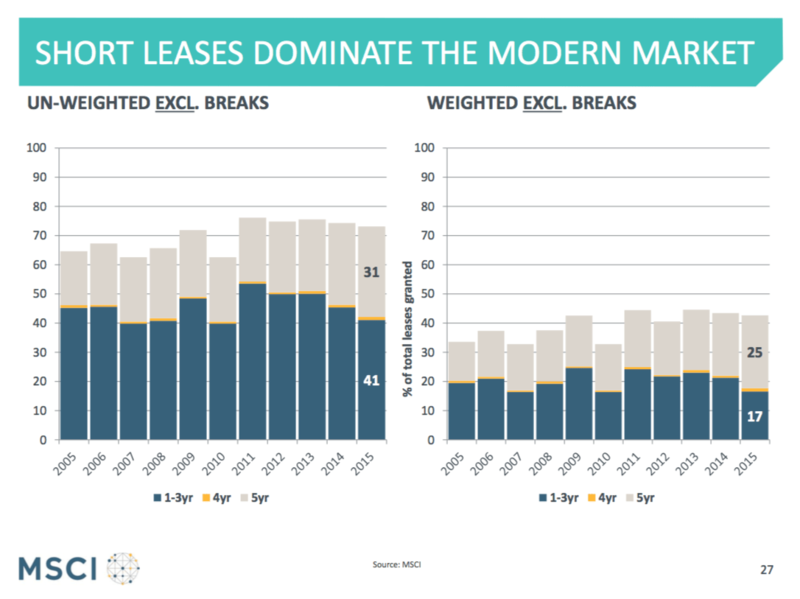 It’s not just the lease instrument that is shifting. In order to meet changing demand we need to overhaul our valuation models, risks profiles, and asset management approaches. This behaviour isn’t limited to office space. In recent years there has been an explosive growth in demand from brands to share retail space. In global retail cities where location is king, this is how brands access prime retail space. We are seeing a whole generation of creative retail talent with an entirely different relationship to real estate than their predecessors. We Are Pop Up’s data shows, at granular detail, demand for a single clothes rail in a boutique in Greenwich that costs £9 a day, to a concession in Oxford Street for £300 a day, or on Manhattan’s Lower East Side for $200 a day. We call this behaviour ShopShare. We can tell you about the nature, scale, and source of underlying demand. We can tell you how frequently brands book, where they book, what they pay. As a tech platform we can tell you what day of the week a particular concession, in a particular part of town, is most likely to book. Every touch-point from sign-up, to enquiry, to booking is captured. 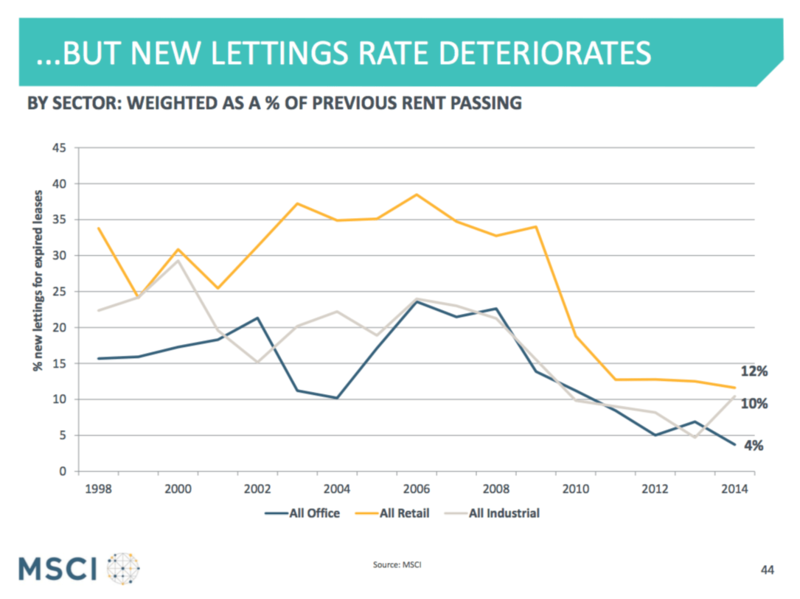 If this analysis is omitted from the data collected by the UK Lease Events Review, we can help. Currently valued at $15billion, WeWork’s value is being generated below the head lease. Once they sign a 20-year lease in a prime location they are able to service underlying demand for fractional and flexible use of space. At WeWork you can rent 1 to 10 person offices, dedicated desks, shared desks. The WeWork Commons means you can book a desk on a mobile app on a global basis. You can attend and host events. You can access the social network of 30,000+ creatives, and thousands of potential customers. In this model WeWork act as network aggregators. They service a growing, underlying demand for fractional use of high value real estate, anchored by a social and globally connected community. The result? Networks in physical space. A demand of a similar nature exists within retail. Shops on We Are Pop Up are listing small modules of their store and are generating thousands of pounds of revenue every month. Boutiques in Shoreditch make £20k renting rails and tables. Another of our shops tells us 50% of revenue is product sales, the other 50% – renting out space on We Are Pop Up. These retailers cluster in high-value spaces. This makes them the biggest ‘owners’ of high value space and the smart ones know it. They too are acting as network aggregators selling fractional use of their space. The result? A new role in the ecosystem. We call them Retail Curators. A number of drivers are commoditising retail space. Before e-commerce, brick and mortar was how you reached customers. Now brands have options. We see that landlords can’t push increasing rents in the same way anymore. The goal now is just to minimise vacancy. The shift is evident with stable vacancy rates and the majority of retailers either paying the same or lower rates. 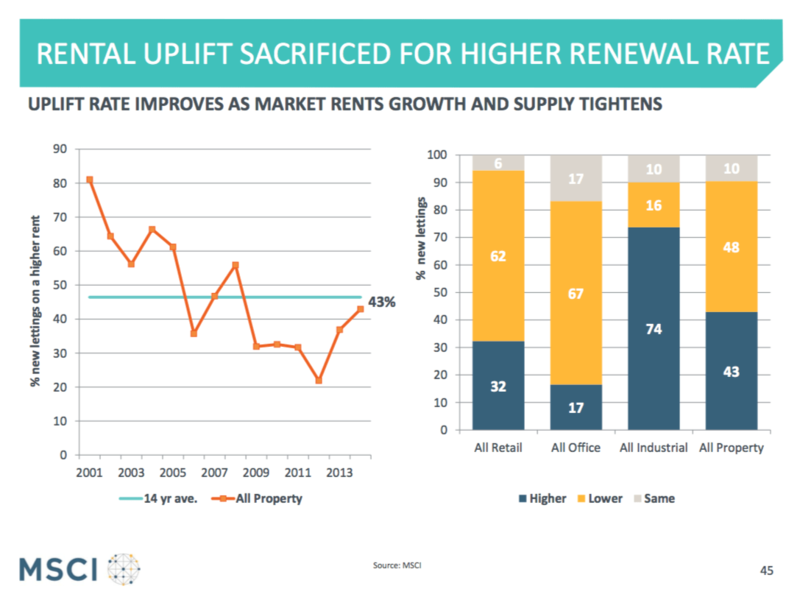 With rental uplift sacrificed for higher renewal, supply gets even more constrained. 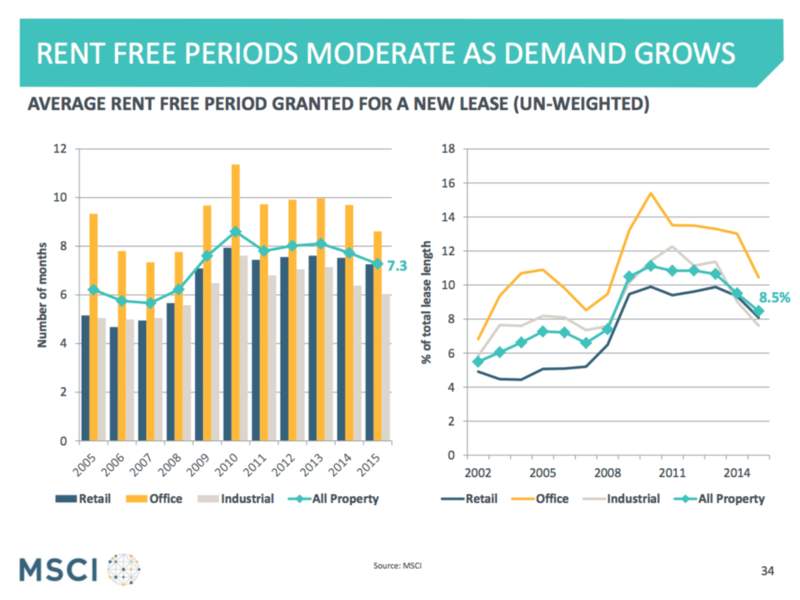 The mindset of minimising vacancy, rather than maximising utilisation is actively preventing future growth opportunities. For many brands ShopShare now replaces trade-shows. Rather than showcase a product to retail buyers at a trade-show, brands buy ShopShare space and face the product directly to consumers, able to invite buyers to the space too. We Are Pop Up allows brands to access high-value space, but we also allow low-value space to approach brands relevant for their stores. For the retailer, ShopShare de-risks product selection. There is now an alternative to buying large consignments and hoping you’ve got it right, or fronting money for sale and return. This transforms getting new inventory and fresh in-store content, from a cost centre to a revenue line. Retailers are the biggest space owners, but they’re stale on storytelling. They are paying prime rents and being hit by e-commerce. The retail in itself isn’t necessarily profitable but they need to engage consumers in the real world and drive them back online. They need a physical presence on the high street, and they need a new way to compete for attention anchored in experiences. Brands have fresh product and they need channels to market it to consumers. To them ShopShare is social media space and they share that story widely across their networks. Having a presence in a physical space creates new media content. The brands drive the network movement through sharing this content online. The retailer takes advantage of this behavior to anchor the experience in real space – in their real space. This drives footfall, brand awareness, and ultimately sales. The result, once again is networks in physical space. It’s the same with The Permanent Pop Up and The Dandy Lab. It’s the same with historic Heal’s flagship store on Tottenham Court Road partnering with coworking space Forge & Co. 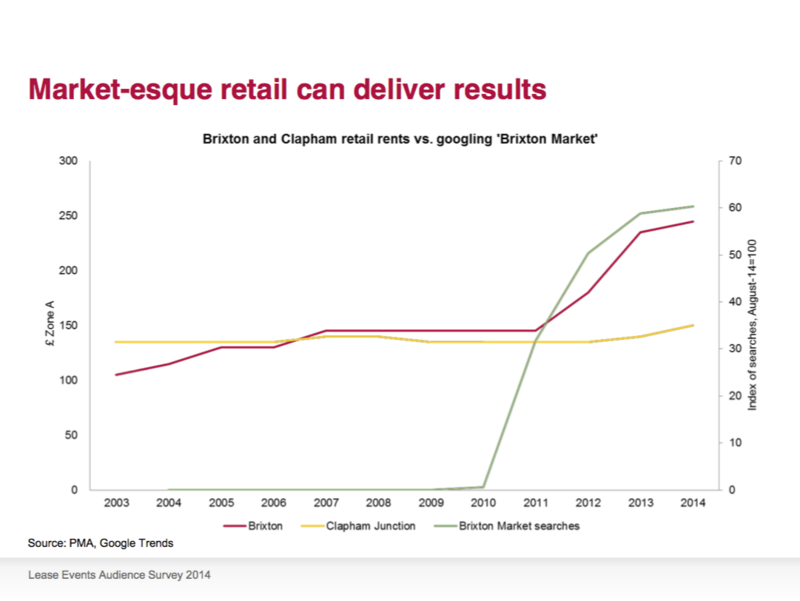 Possibly my favourite graph of the day presented by Stephanie McMahon, Head of Research at Strutt & Parker, shows the comparative uplift in asset value in Brixton ‘v’ Clapham post the development of Brixton Village Market. The market operator plays the role of aggregator. They offer micro-leases and build a new ‘anchor’ offer, based not on long leases, but on flexible ones. Consumers know there will be authentic and novel experiences and keep coming back for more. This drives footfall and ultimately pushes up the value of adjacent retail assets. The key thing here is the correlation between google hits and rising asset value. Taken together we are seeing a powerful set of drivers pointing us toward a new value proposition for commercial real estate. We have some work to do and some mindset shifts to make. 1/ We need to evolve our data models to include the underlying patterns of demand. This means exploring the real behavior shaping the future of commercial real estate that’s happening below the line of the head lease. 2/ Network Aggregators are benefiting from the underlying patterns of demand, inventing new ways to meet it based on fractional use overlaid with networks. They are creating new value and driving supply in a supply constrained market. Institutional investors can help scale this model and share in its benefits. 3/ The fundamental shift needed is to move from asset valuations to use-valuations. In a complicated real estate market where assets are over-leveraged or underpin pension policies, I recognise making this transition is a challenge. However, we do need to make it if we want the asset class to be productive and grow. The opportunity costs are mounting for landowners, retailers, brands, which is having a knock-on effect at the simple level of job creation and economic growth. What is becoming increasingly apparent is that fewer and fewer benefit from trying to keep things the same. It’s time for a change.